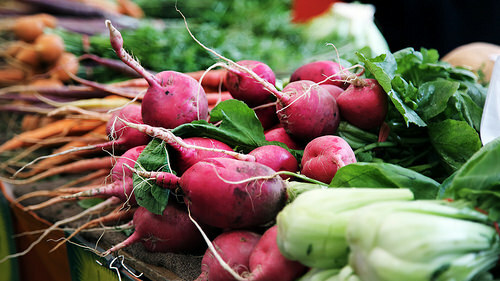 The Cashion Farmers Market offers a wide array of fresh fruits & vegetables along with plant materials. Whether you are looking for delicious produce, salad greens, herbs, honey, watermelons, peaches, farm fresh eggs, meat items, cut flowers or quality Made in Oklahoma products then you must explore this seasonal, open-air market! Located at 116 S. Main Street. Open March - September, third Saturday of the month 9:00 a.m. - noon. Specific location data is not available for Cashion Farmers Market. Please contact them for specific details and directions.